With so many options and new security gadgets to choose from daily, it can almost leave you wondering if you have done enough to secure your family, your home or your business today. So how many security features are enough? Is there actually such a thing as ‘too much security’ in the crime rich environments we live in today? Well, the answer is it really depends on the individual. The truth is you can spend thousands of rands on security features and upgrades, but do you need these and are they practical to your lifestyle? – This is the best question to ask. At Secure Rite, we believe that your security, whether home or business, should be multi-layered. Being safe in today’s world extends much further than just your home or office. Craig Austen, Secure Rite Security’s CEO adds that:” Security should fill two key needs. Firstly ‘detection’ and secondly ‘reactive’ needs. It is vital that your security layers provide a good mix of both these security needs. Remember you want to be able to detect the possibility of danger and secondly, you want to be able to react to danger and get help if you need it when you need it”. 1. Outdoor beams or outdoor sensors play a very important role in detecting movement on your property. Remember to place these strategically so that they provide a safety perimeter. Secure Rite offers a free home assessment and can advise where your beams would be best placed. 2. CCTV cameras have been around for many years and technology has evolved this feature very nicely. CCTV cameras allow visual recordings or alerts when necessary. Often you are able to have real-time viewing access to your property. They serve a variety of functions and have really become a pivotal security feature. Secure Rite offers a range of different CCTV products to choose from. 3. Perimeter fencing at its most basic level is very important – features like electric fencing, thorny hedges, security gates and motorized gates are still features that add a good layer of security and are highly recommended. 1. Internal alarm system – An alarm system inside your home ensures reaction to unwanted access or movement. If an intruder is able to access your property, your internal alarm system will react. By ensuring you equip your home or business with a good system, you can deter/discourage potential danger. 2. Armed Response – If your alarm system triggers, you want to know you have a backup just in case there is, in fact, an intruder in or near your home. best to have a mobile panic button that can alert ‘help’ when you need it. These are Apps that are linked to your geo-location which means you will be easy to find. Secure Rite has recently launched its SecuRwatch APP which offers a mobile panic button as one of its features. This is a great tool for the whole family and is a vital ‘must have’ today. Security can never be a one-dimensional view. In today’s world, we need to think broader because crime events are broader. We also believe that tools that help train how we think are great as both detection and reaction security features. It is for this reason that we fully endorse self-defense classes and classes that teach us how to be aware of possible danger sources and how to react with a clear mind. At Secure Rite, we remain passionate about security features that keep our community as safe as they can be. So, don’t be overwhelmed about what to get and what not to get. 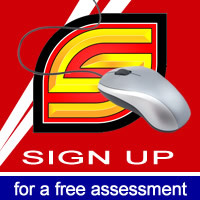 Just give us a call, we will provide a free assessment and help you decide what makes sense for your needs. Remember, we do security, you do life! Telephone number: 0860 10 30 99.